Three original works of art and over 30 high-quality reproductions from the Library and Archives Canada (LAC) portrait collection are on display in the Lieutenant Governor’s Suite at Queen’s Park in Toronto until March 31, 2014. The portraits are part of About Face: Celebrated Ontarians Then and Now, an exhibition developed by the Office of the Lieutenant Governor of Ontario in collaboration with LAC. These historical and modern portraits represent men and women from a wide range of cultural backgrounds and walks of life, who helped shape the Ontario of today. This rare portrait of Maun-gua-daus, for example, is one of the earliest photographs of an aboriginal person in LAC’s collection. A member of the Ojibway nation, Maun-gua-daus was educated by Methodist missionaries and served as a mission worker and interpreter in Upper Canada (now Ontario). 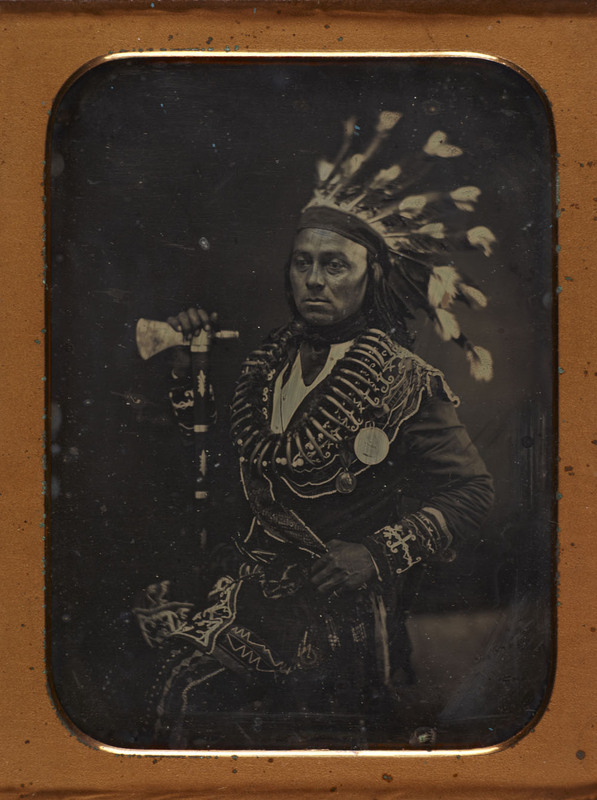 From 1845 to 1848, he took part in a tour of England, France and Belgium, demonstrating the ritual, dance and sport found in Ojibway culture. This photograph was probably taken during that tour, in about 1846. It was made using the daguerreotype process, the first method widely used for producing photographic images. An iconic portrait of figure skater Barbara Ann Scott was taken in 1946 by another notable Ontarian, Yousuf Karsh. At the time, the young lady from Ottawa was a Canadian national champion, but had yet to win a European championship and a world figure-skating title. Scott became “Canada’s sweetheart” and Olympic gold-medal champion in 1948, at the age of 19. In this photograph, Karsh frames the skater’s youthful face in what appears to be a saintly halo. Come see for yourself! Contact the Office of the Lieutenant Governor of Ontario, Queen’s Park to arrange a viewing of the exhibition. 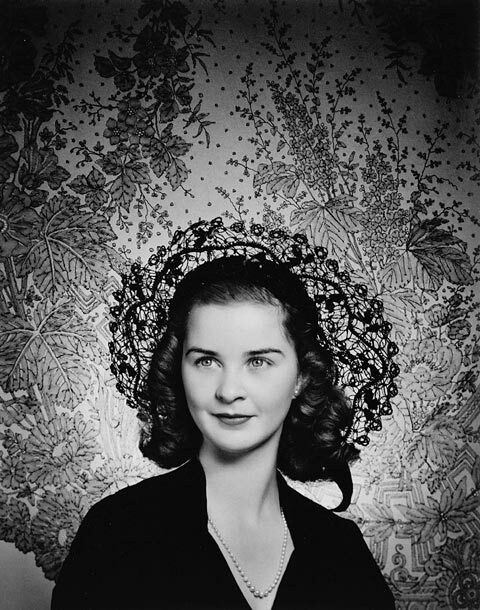 This entry was posted in Art, Our Collection and Facilities, Photography and tagged Aboriginal, Art, Barbara Ann Scott, Karsh, Photography, Portrait exhibition, Queen's Park by Library and Archives Canada Blog. Bookmark the permalink. I would love to see this exhibition and I am sure others would too. After it leaves Toronto next year why not display it in Library and Archives of Canada building at 395 Wellington Street in Ottawa so that everyone who visits the building can see it.